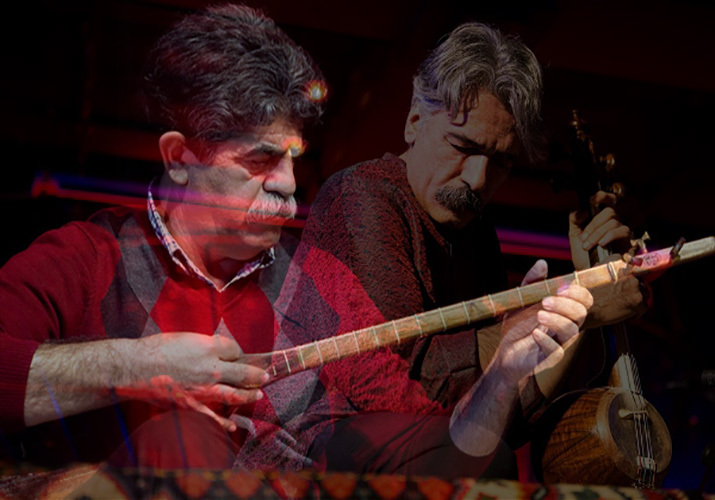 (Persia Digest) – Stanford University will be the venue for a duet performance by Kayhan Kalhor and Ali-Akbar Moradi in the final days of 2017. These two successful musicians who released the popular “In the Mirror of the Sky” album years ago will be taking the stage together again on 10 December to play their improvised duet. Kalhor will also have a solo kamancheh performance on 3 November in York-England, and Manchester the following day. He will perform a duet with Ardal Arzanjan in Rotterdam-Holland on 10 November, and accompany Ali Bahramifard’s dulcimer with new pieces on 14 November. In his last concert of 2017 on 19 December, Kayhan Kalhor will play at “Beyond the Silent Garden” concert in Istanbul with Navid Afghah, Ali Bahramifard, and Hadi Azarpira.